Whattup, homies! 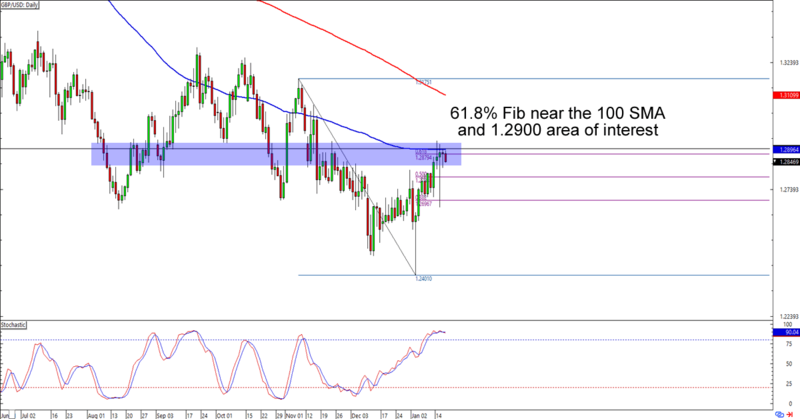 Let’s keep those pips coming in with these forex trade opportunities on GBP/USD and USD/CAD. Get ’em while they’re hot! Remember that 100 SMA support that we identified about a week ago? Well, it looks like the bulls are paying attention! USD/CAD did have trouble trading below the level. What’s more, it’s starting to pop some bullish candles! 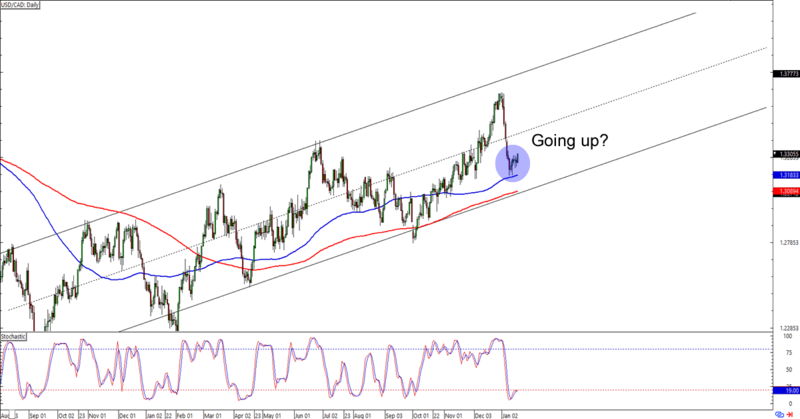 Will we see the dollar extend its uptrend against the Loonie? Buying at current levels could still give you a good reward-to-risk ratio especially if you aim for the previous highs near 1.3650. If you’re not sold on the dollar’s strength yet, though, then you could also wait for a bit more momentum before jumping in. Keep close tabs on this one! After spiking to a low near 1.2400, GBP/USD has dug itself back up and is now trading near the 1.2850 handle. What makes the level more interesting is that it lines up with not only a 61.8% Fibonacci retracement, but also the 100 SMA on the daily time frame. Are we looking at potentially more losses for the pound over the next couple of days? Shorting at the earliest signs of bearish momentum is a good idea if you believe that Cable will drop back down to its December lows. If you’d rather buy the pound, however, then you could also wait for GBP/USD to pop above the 1.2850 resistance that we’re watching before you enter your long trades. Whichever bias you choose to trade, make sure you practice good risk management decisions when you execute, aight?